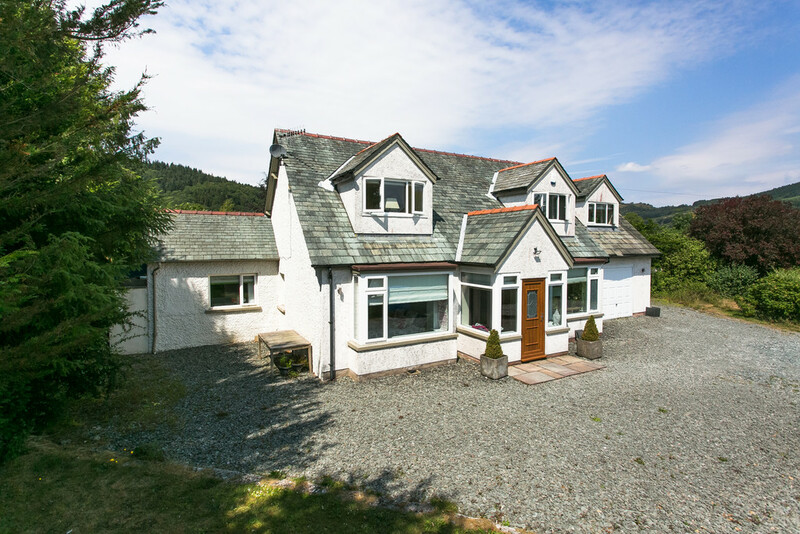 Located in the Lake District National Park at the Southern tip of Lake Windermere, this luxury 5 bedroom home is a dream escape and true to its name, offering a tranquil haven away from the hustle and bustle of everyday life. 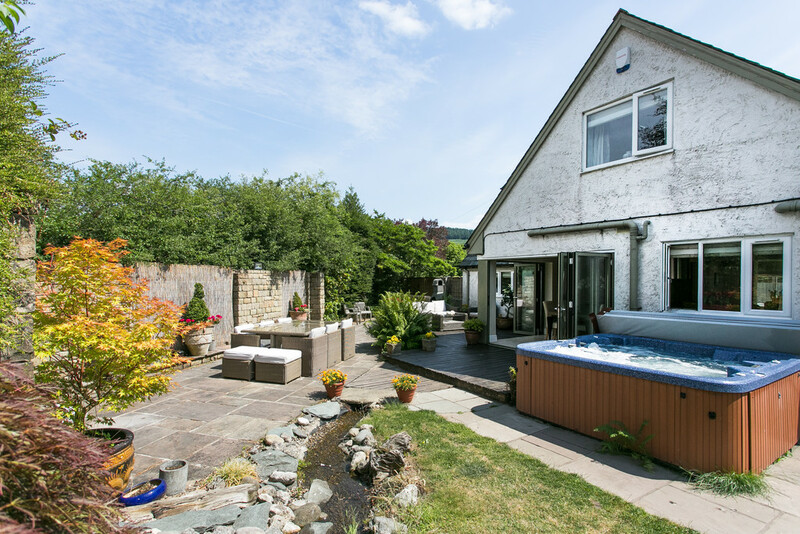 Extensively extended and fully renovated by the current owner as a permanent residence and therefor completed to the highest of standards with luxury fitting and finishes. 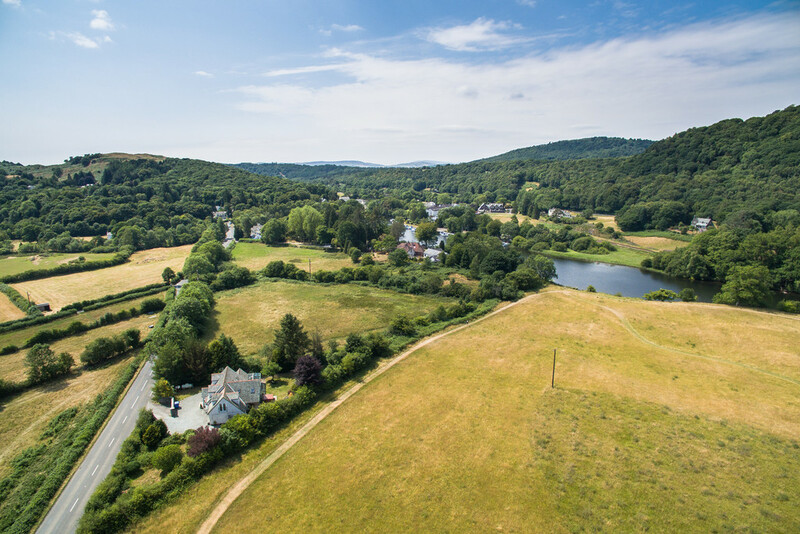 The most peaceful retreat set within private, landscaped grounds with direct access into Fell Foot Park, walkable distance to the renowned Swan Hotel with Spa facilities and easy access to popular tourist destinations of The Lake District. 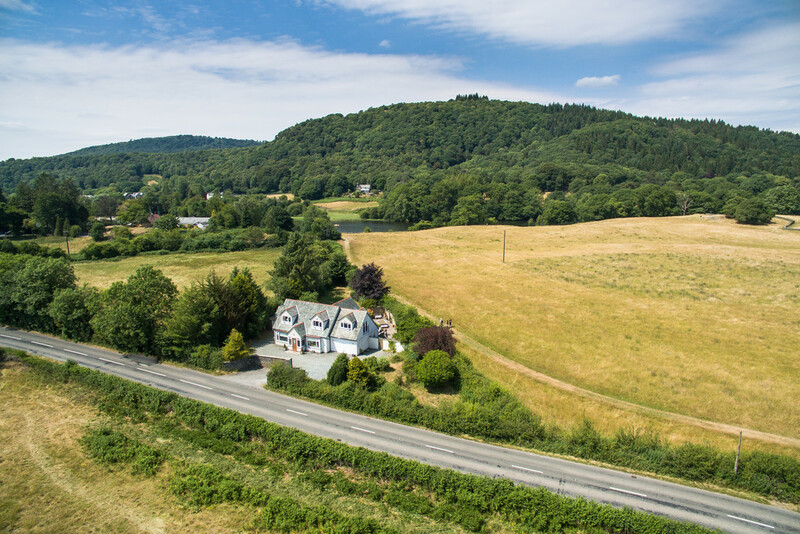 The Haven, is convenient yet privately located and stunning accommodation and surrounds has ensured a wonderful home to enjoy. 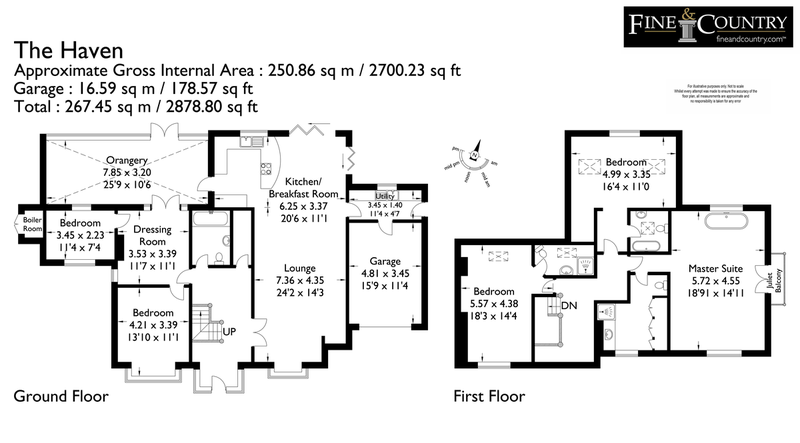 Contemporary open plan living, dining and kitchen with bi-folding doors opening onto a landscaped patio, a large conservatory and a total of five bedrooms, of which three are ensuite, discerning purchasers have the added benefit of all furniture, fittings, equipment and finishes being included in the sale. 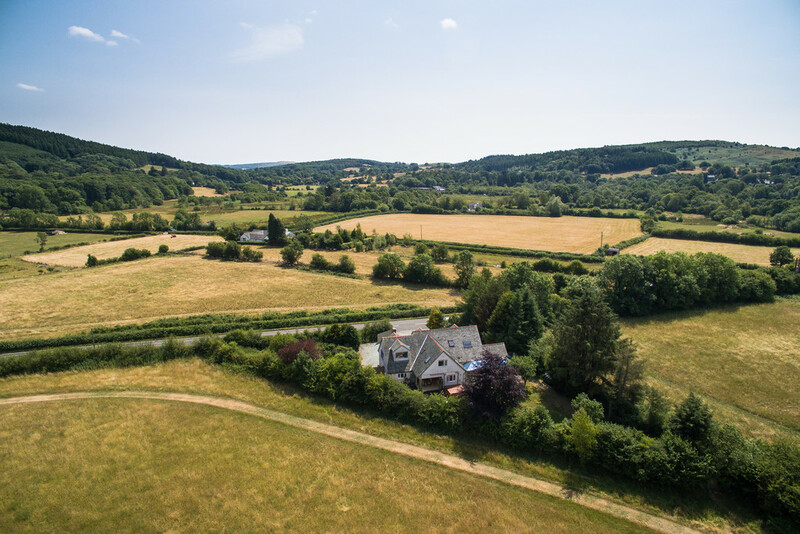 The gated entrance gives way to the slate gravelled private driveway, affording parking for several vehicles as well as access into an adjoining single garage. 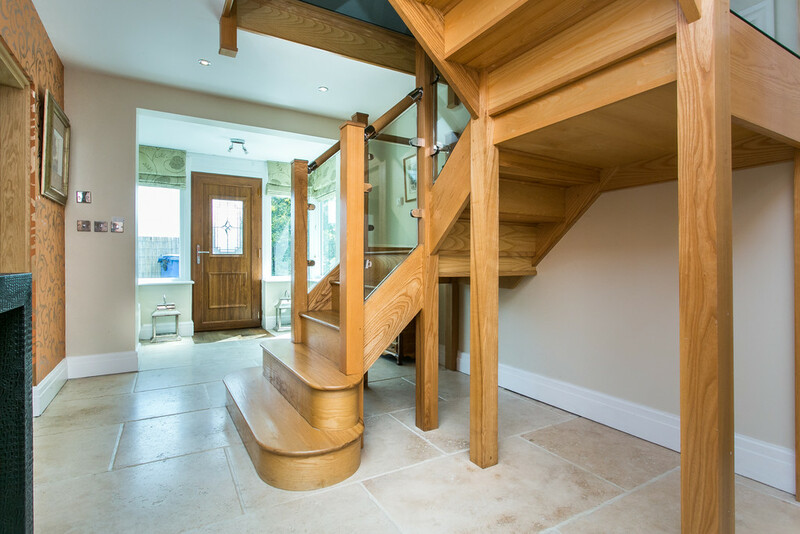 Opening into this deceptive home, you are welcomed by a bright and airy entrance hall finished with quality Travertine stone floors and with the bespoke oak and glass balustrade staircase making for a striking feature. 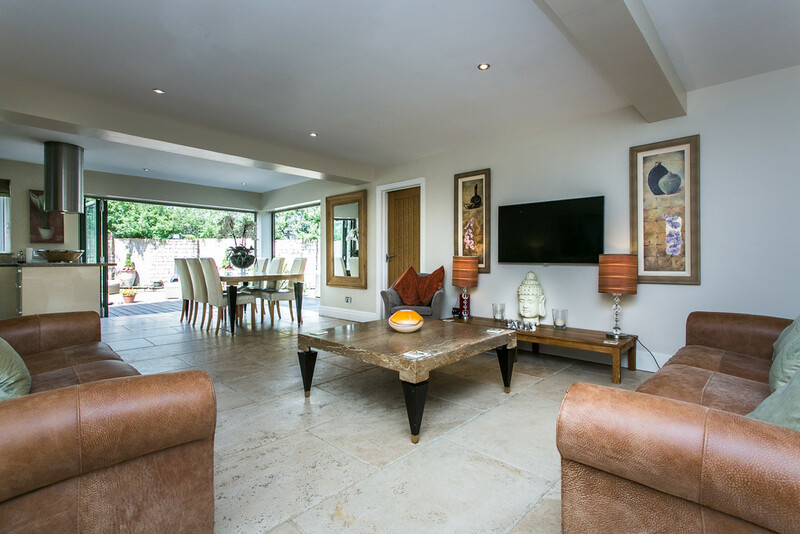 The travertine floors that benefit from underfloor heating flow into the stunning open plan living, dining and kitchen area. 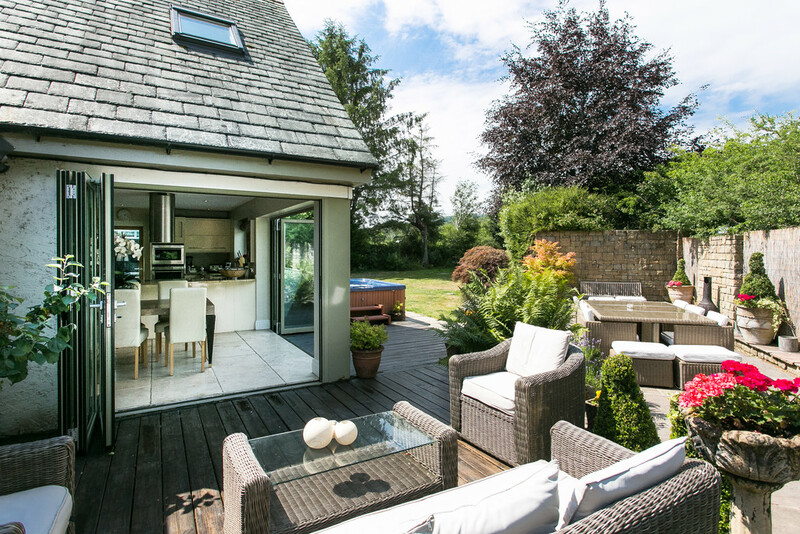 Boasting a dual aspect with a bay window in the living area and bi-folding patio doors to the dining, this space is also flooded with natural light and is finished with a selection of quality furnishing in keeping with the contemporary aesthetics. 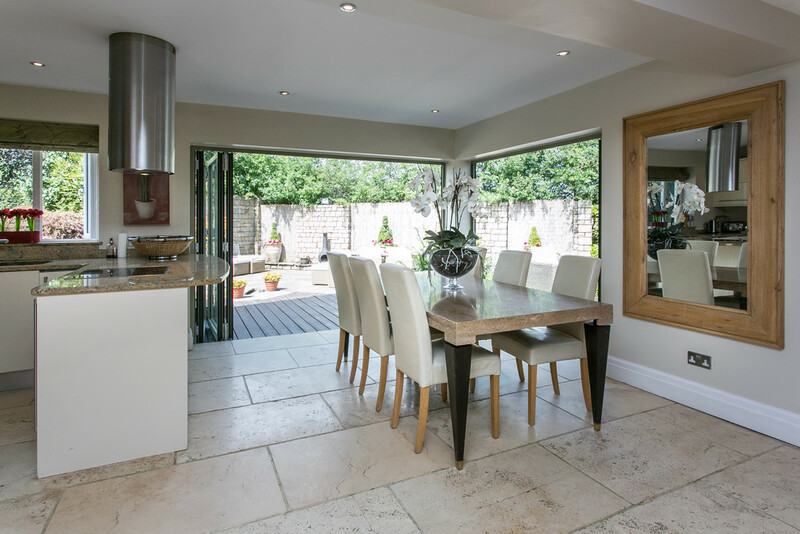 The marble topped dining table sits affront the corner of bifolding doors that open out on the decking of the landscaped garden, excellent for entertaining and alfresco dining during the summer months. 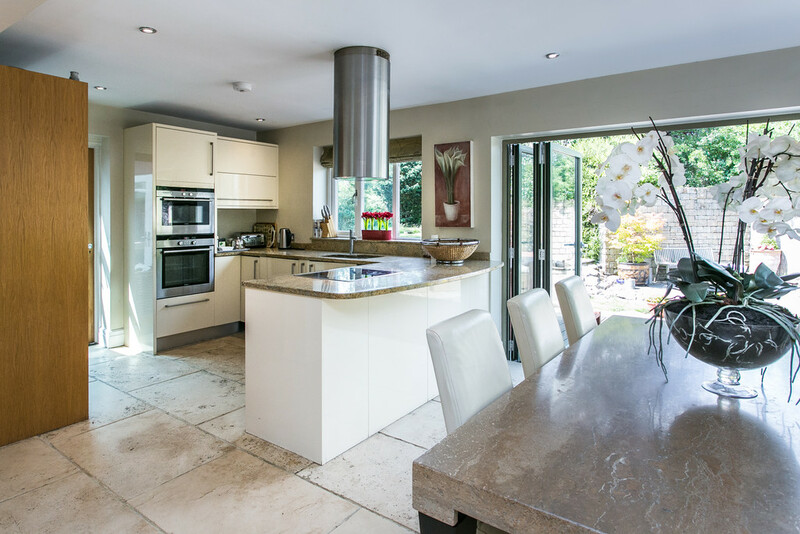 Comprising a range of wall, drawer and base units topped with granite worktops, the kitchen includes a Siemans double oven, 4 ring induction hob with feature Franke extractor over, Samsung American style fridge freezer, sink and a half and all the smaller appliances and crockery as to be expected. 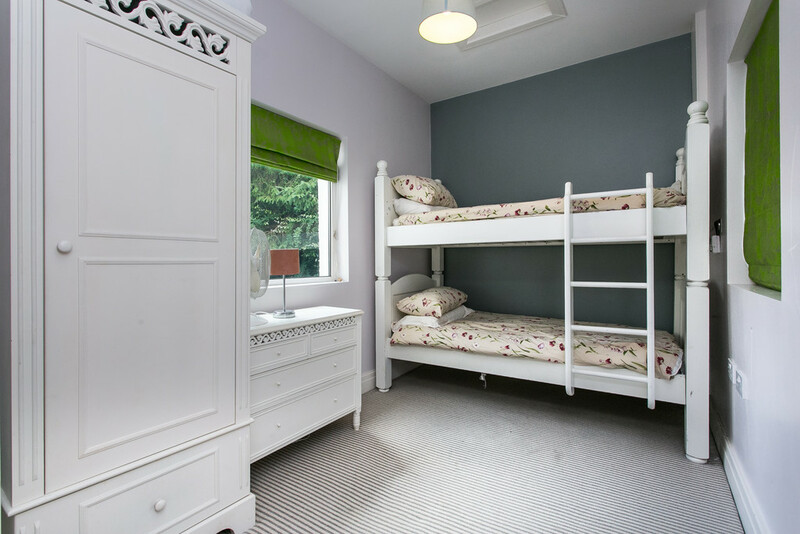 There is also an adjoining utility room with a dishwasher, washing machine and wine fridge, access into the single garage and external access into a secure dog run. 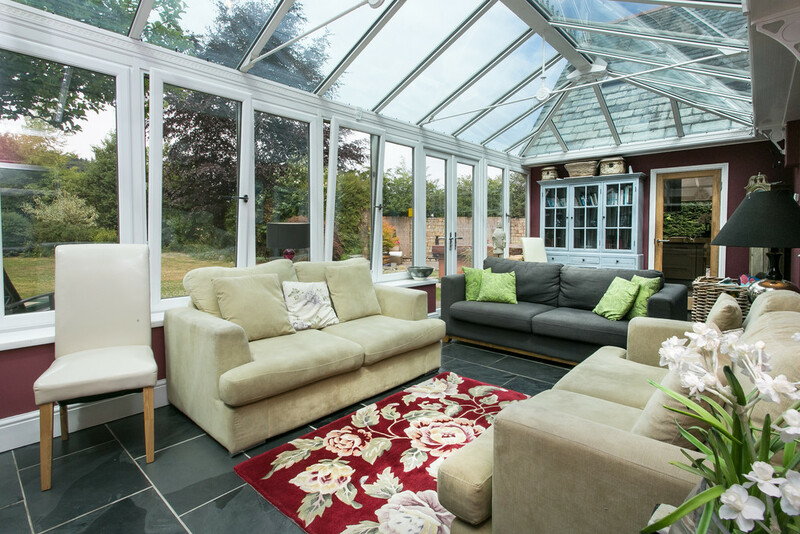 The large conservatory is a fantastic addition for additional areas to entertain. 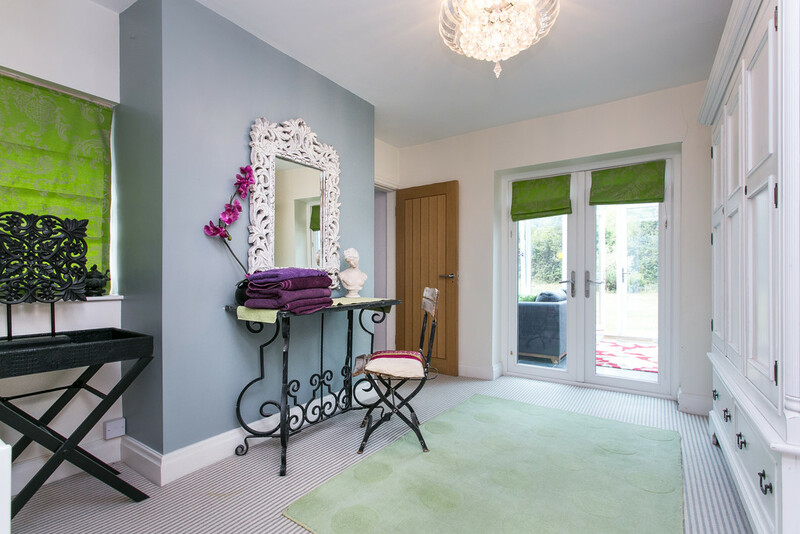 This more casual reception space is a great cosy hangout with a lovely garden outlook, self cleaning glass and finished with local slate floors that again benefit from underfloor heating. 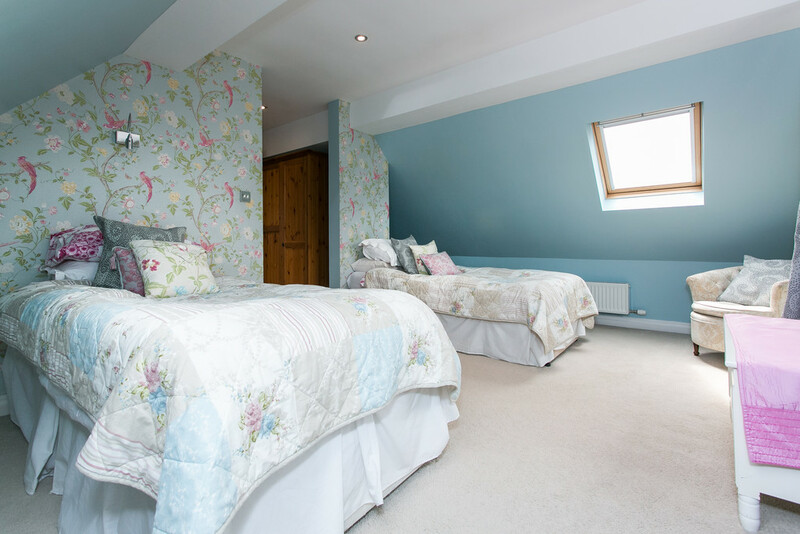 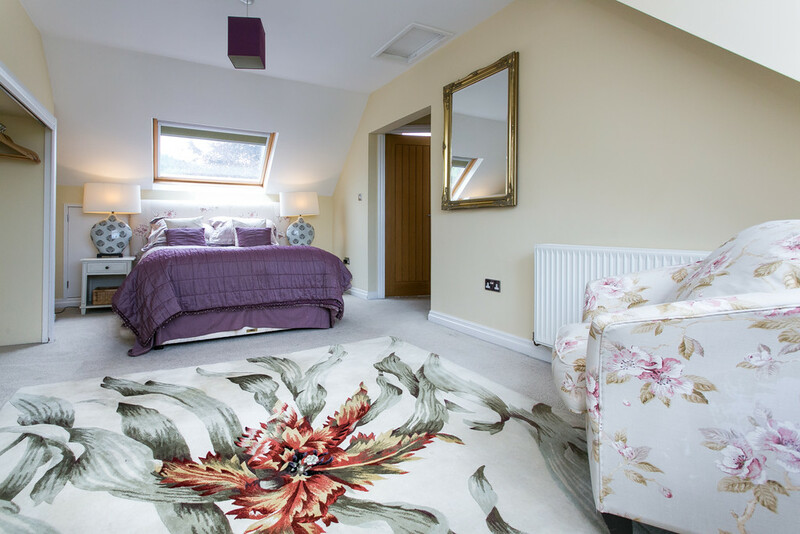 An inner room accessed from the conservatory and hall currently serves as a dressing area for the two adjoining ground floor bedrooms and a double bedroom. 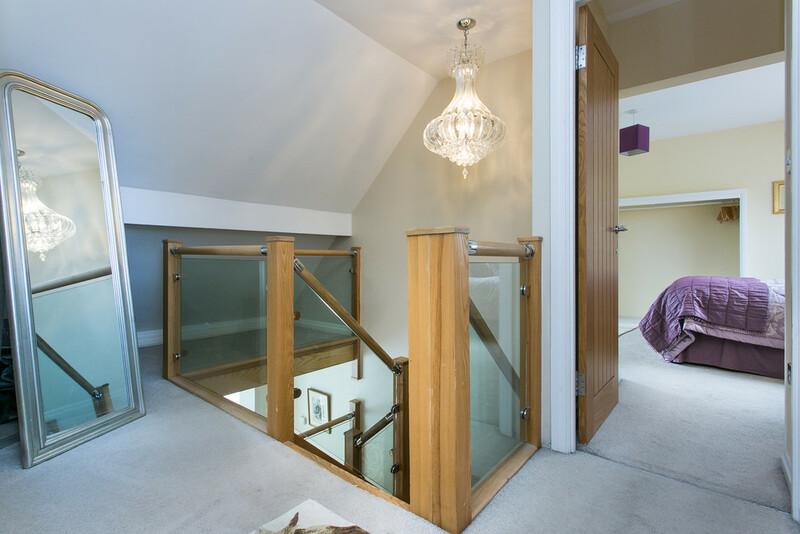 The feature staircase leads up to the spacious first floor landing leading to the remaining three double bedrooms. 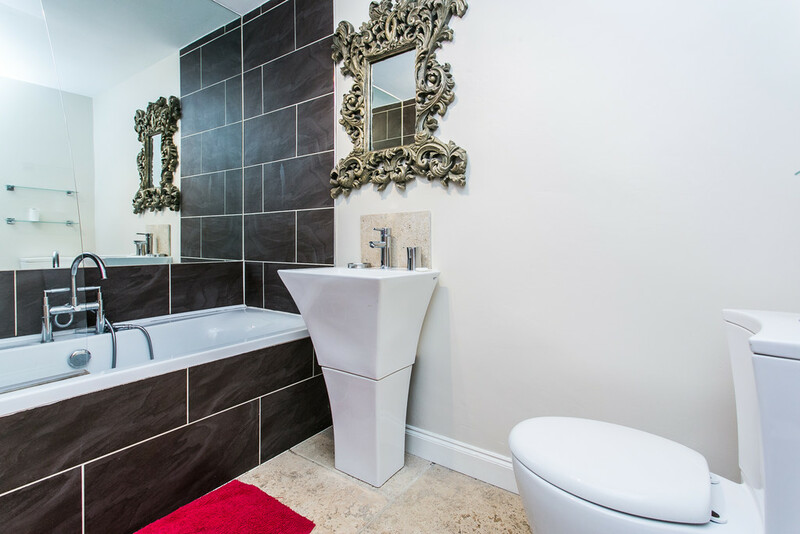 Each of these are impressive with generous proportions and luxury ensuites, all finished with quality natural stone tiling and porcelain sanitary ware. 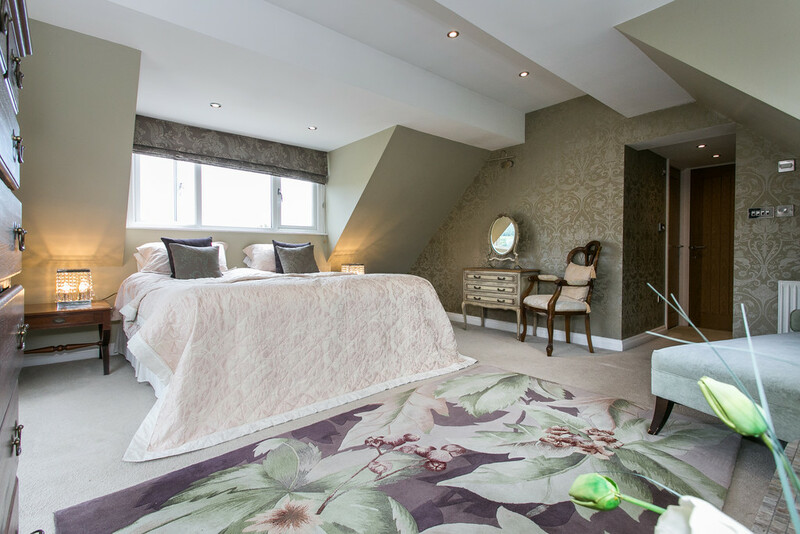 Of these, the master suite certainly proves the envy of all. 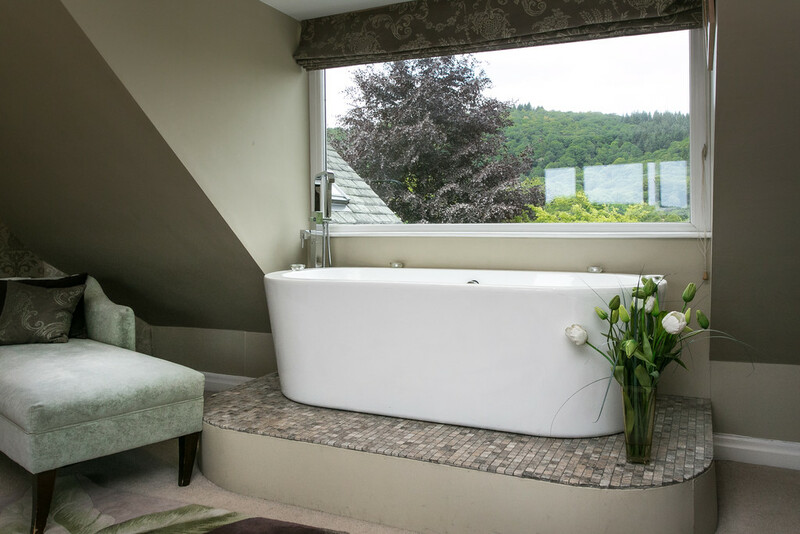 With a triple aspect including a large picture window that looks out over the garden, the perfect backdrop to enjoy whilst relaxing in the raised freestanding bath that sits affront. 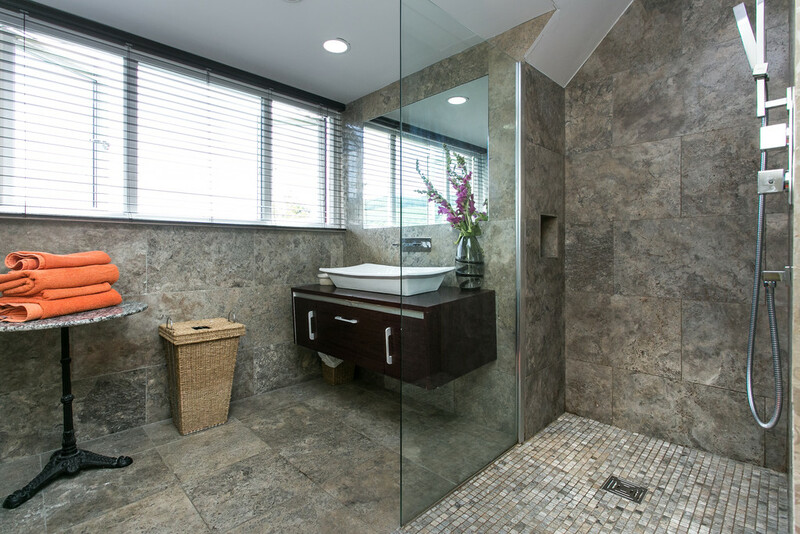 There are also double doors opening onto a picturesque Juliette balcony and the ensuite wet room features a walk in rain shower, completing this premium home. 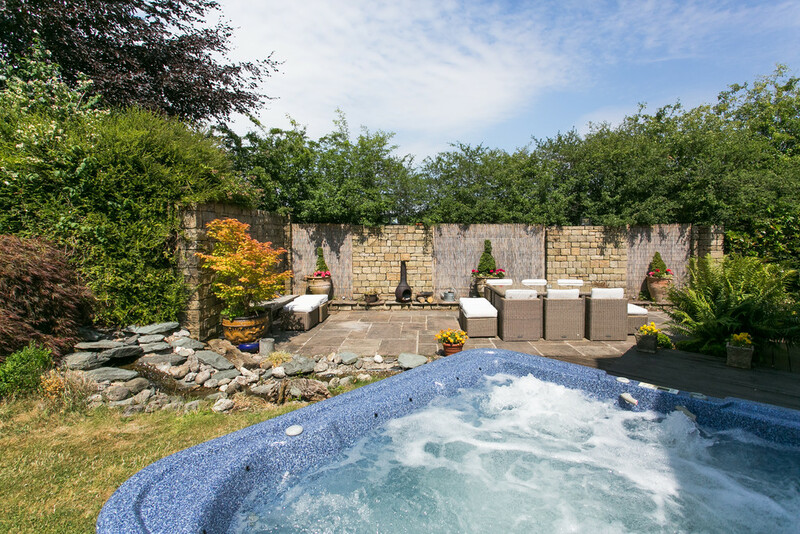 Externally, the spacious garden has been divided into a fantastic landscaped decking and flagged stone patio area complete with a range of seating areas, barbecue and a hot tub; this is a great space for alfresco entertaining and relaxing alike with a serene water feature and stone wall features. 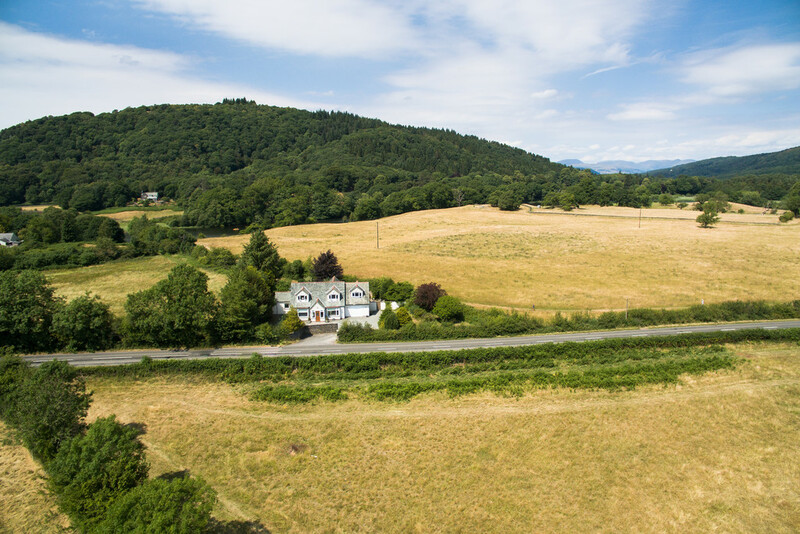 Adjoining this, there is a large natural lawn area great for children to enjoy with a gate at the end leading directly into the Fell Foot Park. 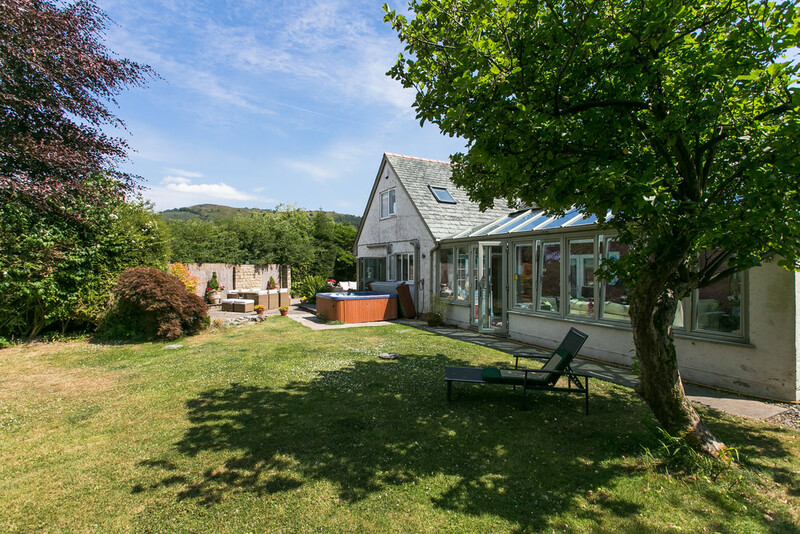 The garden is fully enclosed offering ultimately privacy and security, which would in all make this property the most ideal holiday home or boutique B&B. 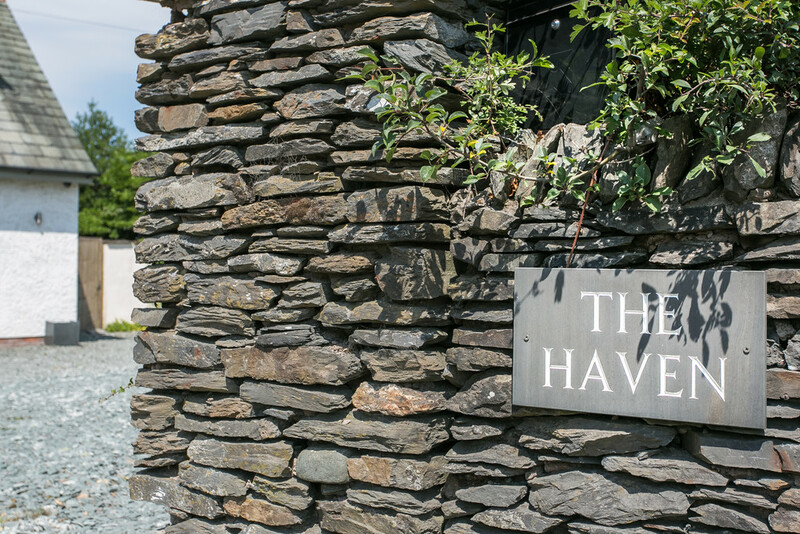 DIRECTIONS The Haven can be approached from North, South, East and West with ease. 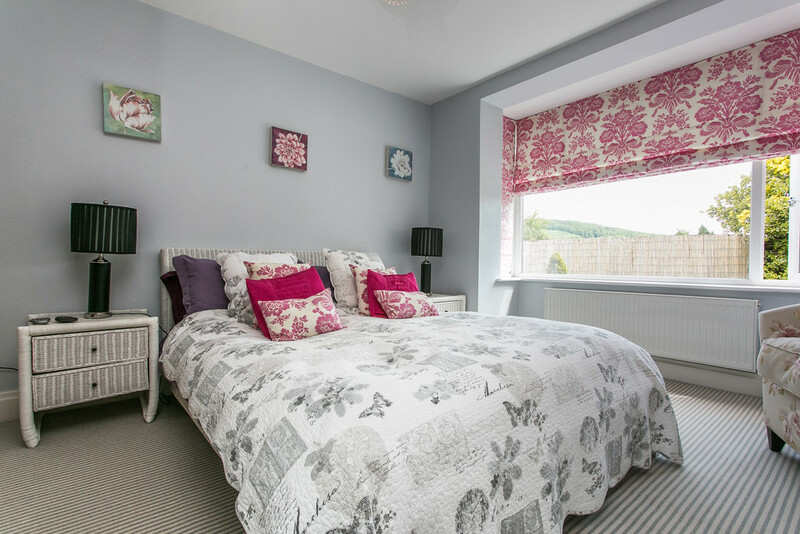 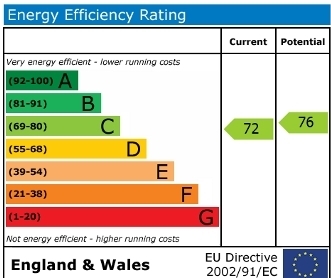 Travelling from Kendal/M6, travel on the main A590 heading towards the Newby Bridge, take the second exit at the roundabout and continue for approximately 400m and The Haven can be found on your left.